"What do you mean, behave?" "Why fight when we can smoke"
Skills and Attributes: Has a way of making people into his allies even if they were enemies. Is a high class cook and navigator. "Look, shut up or stop breathing, your call"
"I could tell you where i'm from, after you take a hit." Miikai was raised and trained on karate island, Learning most forms of martial arts and grabbles. One day, him and his friends were on the beach when a weird purple fruit washed ashore. After a quick moment of the kids daring each other to eat it, Miikai finally picked it up and ate it. Coughing and gagging at the taste, he snuck off with his girlfriend at the time for a private swim, only to find himself unable to move in the water. Pissed at his luck, he spent years training to join the marines and see if a cure can be found. It was with the marines he found out he ate a devil fruit and began to touch on the powers it gave him. 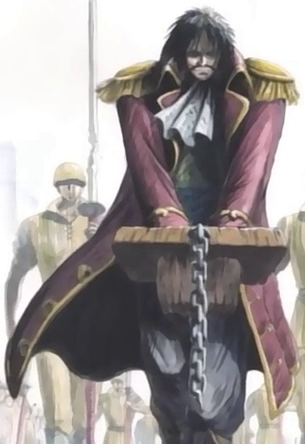 Due to his ability to touch Logias without haki, he rose to the rank of captain quickly and is closely watched. Miikai himself would prefer a quiet night smoke and pleasant company to a war, but when he does step up, Many people find themselfs broken before him.